San Clemente commercial movers vary in regards to services, quality, and expertise. 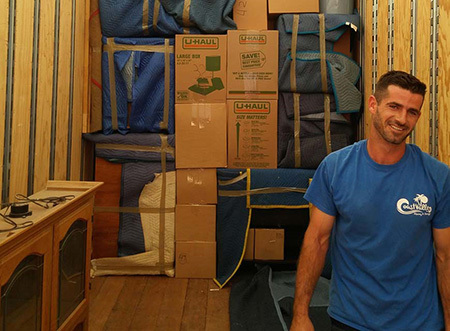 How can you be sure you are getting the best deal with the best moving crews available? As the top commercial moving company in San Clemente, Coast Valley Moving helps with it all. From corporate relocation to office moves, we seek to streamline your commercial move while keeping needs and budget in mind. Why should you use Coast Valley Moving for your commercial move? With the resources and the vast moving crew to assist with moves or every size, as San Clemente office movers we make it simple to plan the perfect move for your office. Corporate relocation is streamlined with numerous options to move both family and office space with minimal downtime and maximum satisfaction. Moving large furniture, electronics, and computers is easy with Coast Valley Moving. Our moving crews are specifically trained for the handling and transportation of specialty items, providing peace of mind throughout the entirety of the move. With numerous short and long term storage options, Coast Valley Moving makes it simple to bundle both moving and storage services for a budget-friendly price, while leaving you assured that your items are protected. For all your commercial moving needs, trust Coast Valley Moving to complete the job to your complete satisfaction and with minimal company downtime. Contact us today to learn what sets us apart as one of the best San Clemente office moving companies and to submit a free, online quote.